I loved interviewing today’s guest. You will hear a story of one woman’s life with God that proves peace really does come through trusting God in the hardest times. 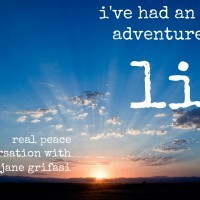 Jane Grifasi relates her story of struggling with cancer, a wayward husband, and learning to love God with such a pure heart that I know you will be encouraged by hearing it. In 2014, Jane was diagnosed with stage 4 lung cancer which had spread through her body. She knew something was wrong and saw 11 doctors before she had a diagnosis. Her relief at the diagnosis surprised her doctors. 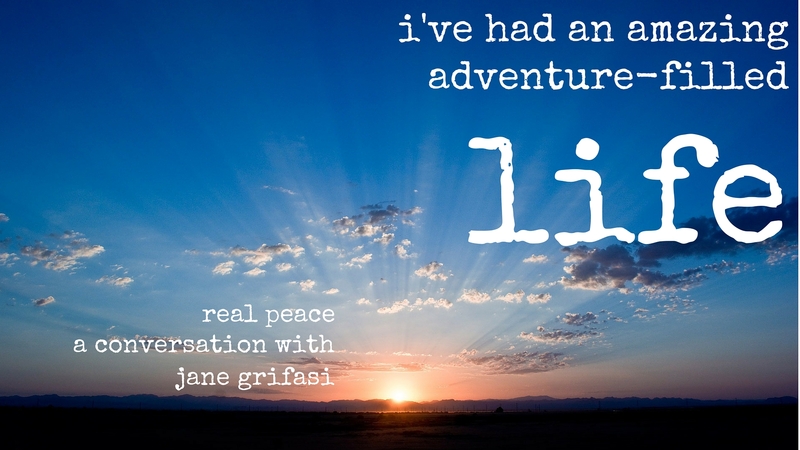 “There was a lot of trouble before I came to Christ,” Jane says. She grew up in a Lutheran church but left and got married. Her marriage faltered and they divorced after seven years. During this time a friend invited Jane to her church. She and her ex-husband both came to the Lord, they remarried and had a family. I’ve had a wonderful, amazing, adventure-filled life. Our conversation became very personal as Jane described her last five years when marital issues cropped up again. Listen as she describes her husband’s decision to move to the Philippines without her and hear the way God worked through the process from anger to grieving to action. God’s miraculous intervention inspired her to keep going. Jane stepped into eternity on May 1, 2016. Every faith she expressed in this interview is now sight. Did Jane’s story bless you in some way? If so, be sure to stop by iTunes and subscribe. While you’re there leave a review which helps our visibility in the rankings.